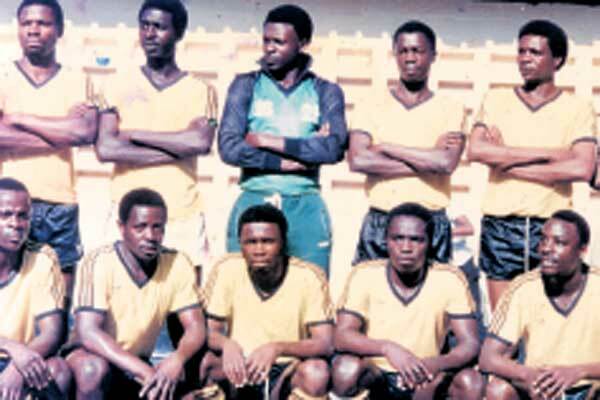 The year 2014 will mark the very first time that the CECAFA Nile basin club competition. The tournament will be held from May 20 to June 5 in Sudan, Teams from Republic of Congo and Egypt have been invited. 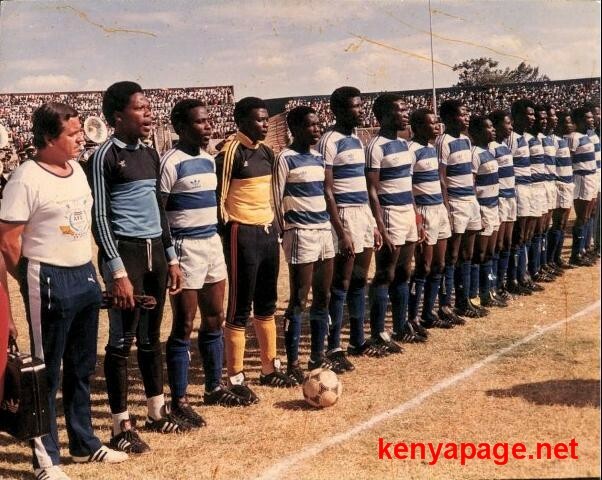 The glory years of AFC Leopards were the period from 1979 to 1984. 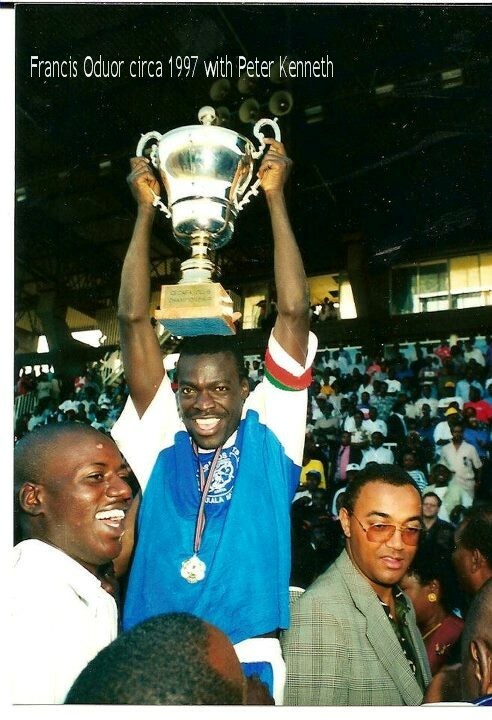 That was when they won the national league three times in a row but even more impressive, Ingwe won the CECAFA club cup 5 times. 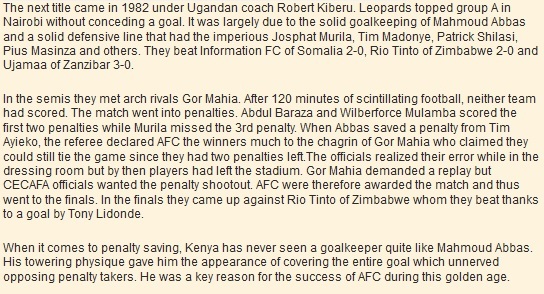 This entry was posted in AFC Leopards news and articles, Kenya Football articles and profiles, Kenya Sports news and commentary and tagged Abu Koroma, Francis Kadenge, Francis Luchuku, Francis Oduor, Hassan Sesay, James Kayimba, joe masiga, Josphat Murila, Mahmoud Abbas, Noah Wanyama, Omar Banza, Tony Lidonde, wilberforce mulamba. Bookmark the permalink. Kudos to the Author, Indeed this is the best memory flash back. 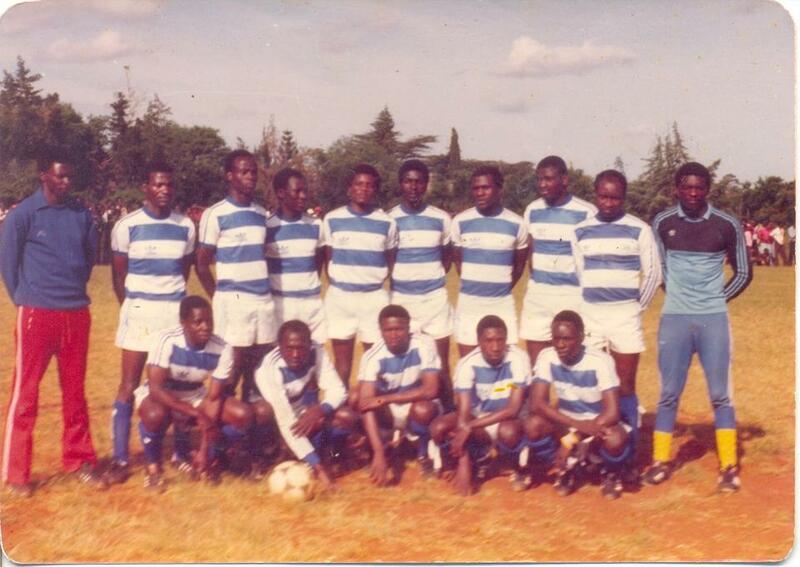 I remember the game AFC vs Mlandege Goals from DEO, Francis Oduor and Kayimba. When looking after cattle with my little small sanyo radio enjoying the commentaries from Salim Manga Ali.